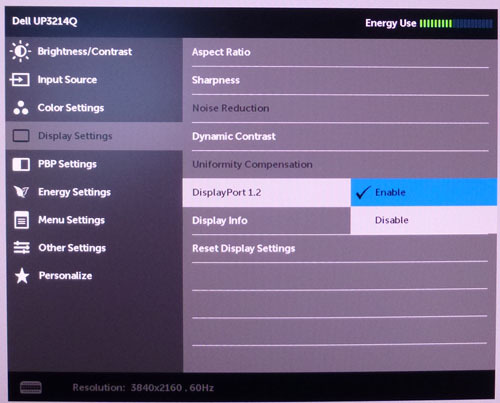 Having problems with your new Dell U2415 monitor using DisplayPort? 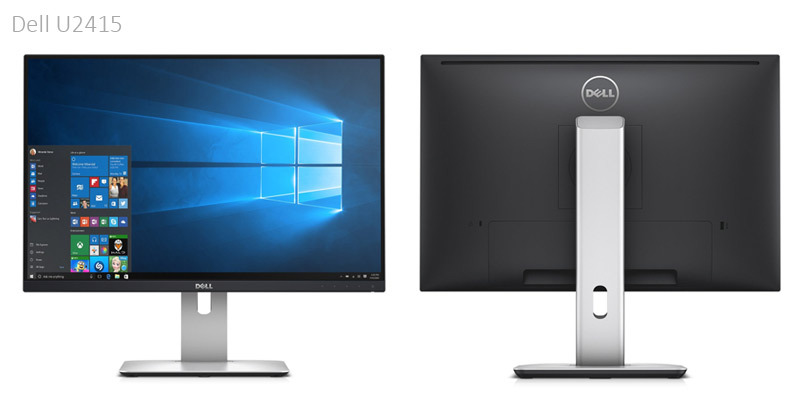 Here are the most common problems & solution for the Dell U2415 monitors. One of the main weird feature of the Dell U2415 is that you MUST enable the DisplayPort input in the monitor menu before being able to use it. This is one of the major reason that people have problems with this monitor. 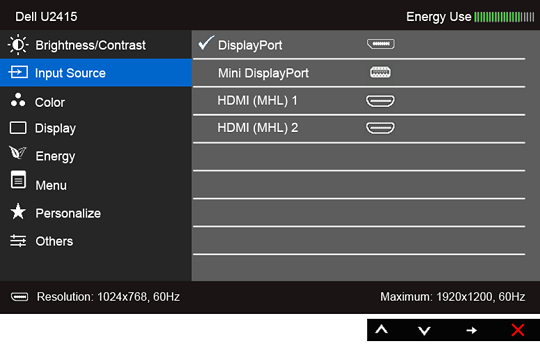 Using the buttons on the bottom right of the front bezel (image above), go in the "DISPLAY SETTINGS" of the monitor menu and select "DISPLAYPORT 1.2", then "ENABLE". That should enable the monitor for use. If it doesn't, try the other suggestions below. Your cable MUST be connected to any of the two DisplayPort IN port (NOT "DisplayPort out"). Many monitors will have both a Mini DisplayPort and a standard DisplayPort input port. You may connect them in any one of those two. Refer to your monitor manual for more details. Note: The DisplayPort OUT port is meant to DAISY-CHAIN many monitors together, if your video card & motherboard & monitors support it. Note: If there is only ONE DisplayPort, then it will be a DisplayPort IN. Never use cheap non certified cables or adapters with DisplayPort video cards, motherboards, laptops or monitors. They are known to have tons of issues: ONLY buy certified cables from known manufacturers. Also, you should avoid Ebay: it's filled with bad cables or fake / gray market cables. You must activate the new monitor from within Windows & use the "Extend Mode" on it. Some people have reported that the monitor doesn't power up when you wake your computer from sleep. In that case, just turn the Dell U2415 OFF and then back ON. It should detect it now. This is probably a firmware issue, check on Dell website if there are any updates available for your monitor. Are both ends of the DisplayPort cable connected? Even the pros do this. 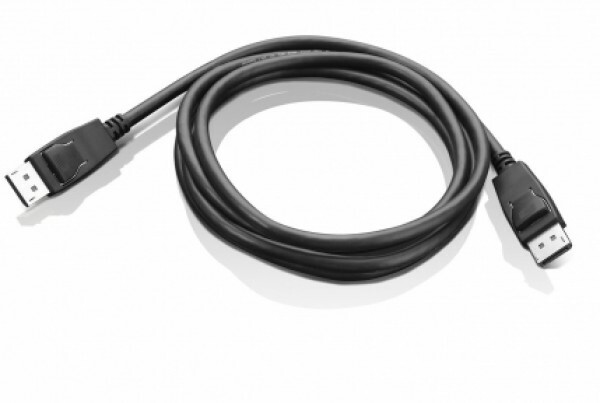 Make sure to connect one end of the DisplayPort the cable from your video card, motherboard or laptop and the other end to the DisplayPort IN port of your monitor.